Perhaps it is the sweeping power of the iconic waltz composed by Johann Strauss the Younger, that most people associate the Danube with Vienna. 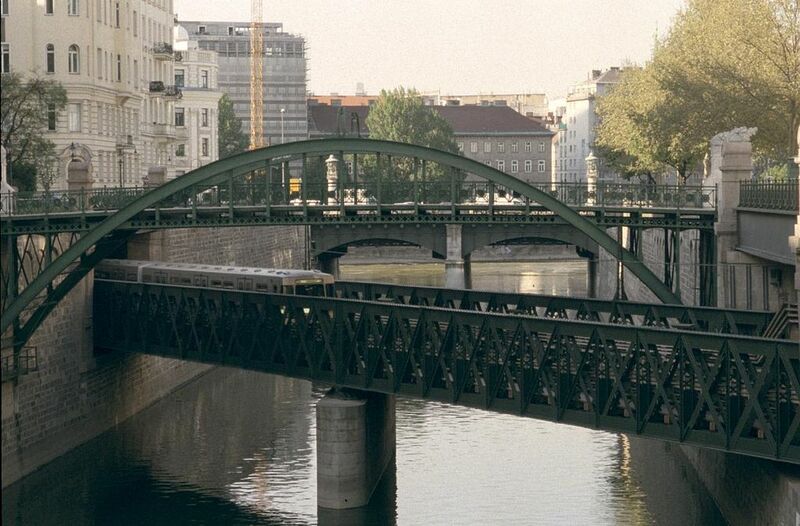 In actual fact, the Donau flows along the north-eastern periphery of the city and the river that runs through its heart, from West to East is the Wienfluss, a 34 kilometer-long stream that gives Vienna its name in German, Wien. Although the stream is often overlooked, its catchment area lies in hilly country to the west of the city, so in case of heavy rains, its level can rise very quickly. Despite this risk, the stream is normally so placid that the city has built a concrete bicycle path along its dry bed beside the water. 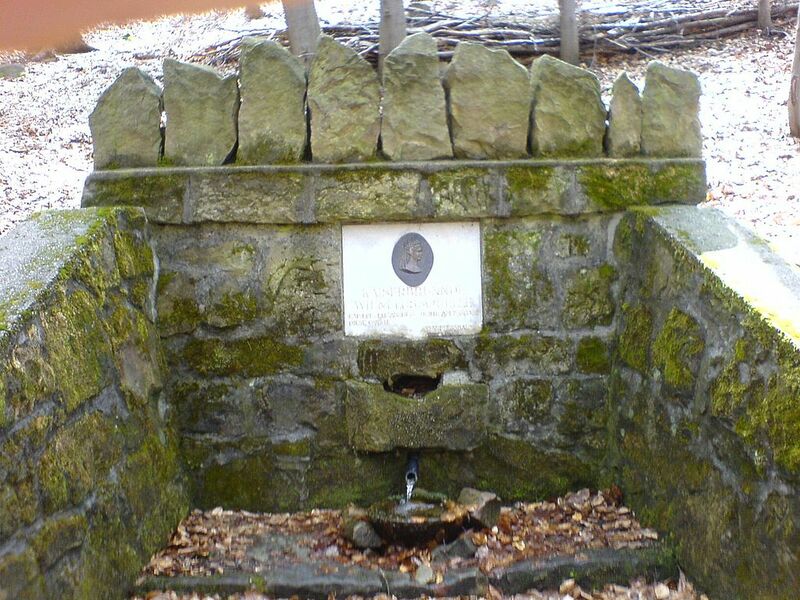 In 2009, the stream’s depth rose by 1 meter in just 10 minutes during a rainy spell. The stream becomes a raging river and its water flow has been known to increase more than 2000 fold (from the normal 200 liters per second to 450,000 per second). 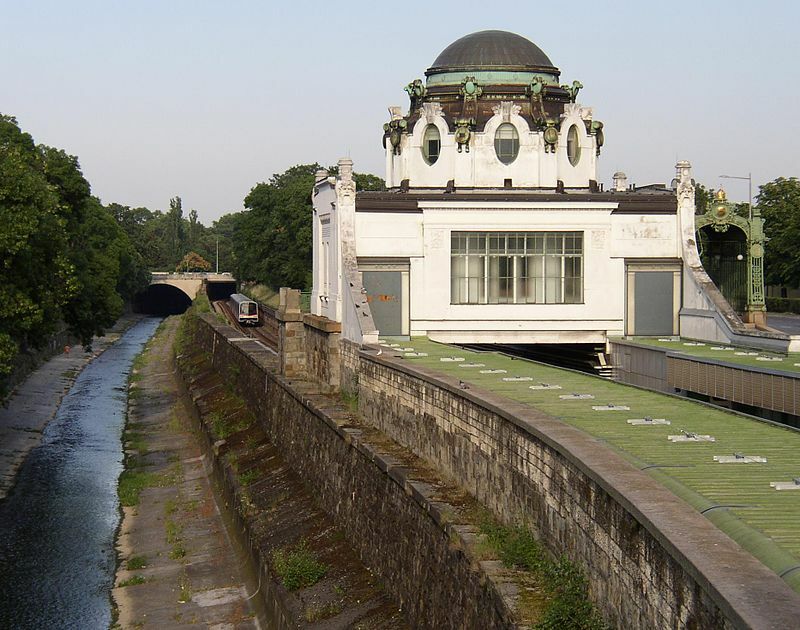 …and emerges into the open again where it joins the Donaukanal near Schwedenplatz. Cycling west along the bicycle path, the stream flows along a paved channel with very little vegetation. At the outskirts of the city, the paved channel is wider and attempts have been made to naturalise the banks and dismantle some stretches of paving. Immediately, the stream takes on character. A profusion of plants, reeds and trees have taken root along its banks in the space of a few years. It’s amazing how quickly life has returned to this stretch of river, how the river meanders once man-made constraints are removed. There are more birds and, presumably, insects and other forms of small animal life in the new undergrowth beside the stream. Seeing this changed stream evoked the thought that perhaps the life of this small river was a metaphor for all of us, for the rivers of our lives. How many of us are locked into barren channels, afraid of change; perhaps stuck in a 9 to 5 rut, afraid to break free or change jobs, trapped by the need for money to feed a family, or fearful of unemployment, of abandonment; the reasons are endless. There is something wrong with a world awash in industrial and consumer goods, where food is wasted while millions starve, where millions are unemployed and those that have jobs are more overworked than ever. So here again, without going into the interminable discussions of classical economists, of trade flows or balance-of-payments, is a river metaphor for our lives. A meandering life will indubitably be richer. If we dare to break free, life will become richer, more full of meandering turns, with lots of unexpected surprises certainly, but we will be better equipped to cope with surprises. Thoughts along these lines reminded me of a book by Mark Boyle entitled “The Moneyless Man,” a courageous year-long experiment in living without money. I highly recommend buying this book, but if you don’t want to commit to buying the book just yet, take a look at the book-length sequel, “The Moneyless Manifesto,” which is available free online at the link below. Moneyless living by choice is a form of grace. I will return to the other Grace, the one in the South China Sea, in my next blog. Grace came from nowhere, caught me unawares, like when you’re sitting in a park totally engrossed in your whodunit and suddenly there’s a delicious aroma of baking bread, yeast and dough with overtones of garlic and perhaps the gentle bubble of melting cheese, sizzling oil and fat, and you wonder what else is in the pizza topping, book totally forgotten, and you remember that you haven’t had breakfast yet, only a cup of coffee and you came out of the house to run a couple of errands on a Saturday morning, wandered into a bookstore on the way home and found this book someone had raved about, bought it on impulse and sat down to read and then were lost in the murder mystery. Life’s something like that. Creeps up on us. The best lives are lived mostly unplanned. Correction! The best lives are planned and then lived with so many deviations from the plan so that we ultimately arrive at a destination more perfect than we could ever have imagined. Life is as perfect as you make it to be. No great secret here. It’s what you make of it. I know that. You know that. So how do I imbue Grace with that knowledge without preaching? Yes, Grace! There’s me on that metaphorical park bench, reading the metaphorical whodunit of life and then, like the waft of baking pizza smells, Grace sneaks into the corners of my mind, invades it with tendrils of soft enticement and then I’m completely lost, I have to type, to search, to pin down this elusive character who beckons with so much mystery. 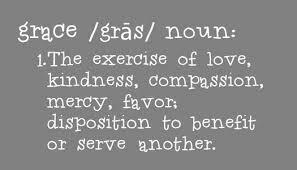 What is Grace made of? How did she come to be? She has certain powers; powers that she herself is not aware of, perhaps. So how does she comes to know her own power? Is she humbled by it? Do they, these powers, make her over-confident and over-reach herself? So for a frenzied three months, I sat down and typed. I typed in the morning and I typed in the evening, sometimes late at night I woke up with a vision and I was Grace seeing the answer to a puzzle, a mystery. Who poisoned the harmless old lady’s friendly Jack Russell terrier? And why? And why was the old lady so sure the poisoning was deliberate? What a shock to find that on this idyllic, almost paradisical, island! It was an island in the South China Sea near Hong Kong, very hot, very steamy, and the writing was like an outpouring from a fever of the brain. But somewhere in the soul of the scribe sits a heart of ice that dissects and says, no, no; this is implausible, this cannot be true. But life is like that! Life often cannot be true, and yet these things do happen. Take the disappearance of MH370, for instance; the best aviation brains and experts in the world still cannot deduce what happened, or how; until recently, a bit of wreckage was washed ashore that perhaps will provide some conjecture of the truth. But a novel does not have this luxury. And so the fevered search for the soul of Grace continued. Sugata Mitra’s new study summarised in the TES here suggests that self study on the internet can boost a child’s performance by seven years. Basically, 8 and 9 year olds studied GCSE content online before being examined three months later in examination conditions. They were successful. It sounds astounding, but it’s true. And actually I don’t think it’s that surprising. To me, this is not a study about the power of the internet. It’s a study about the power of children.